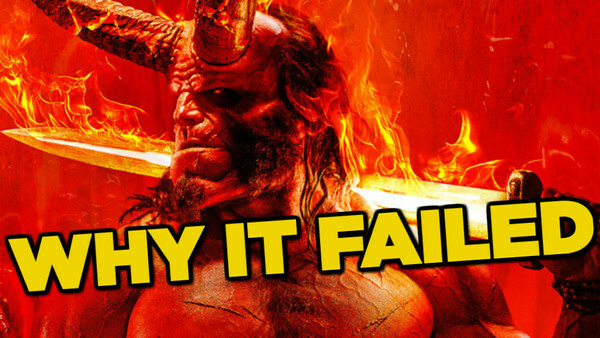 The Hellboy movie franchise has never had a smooth ride. The comics themselves have such a die-hard fandom, and Guillermo Del Toro’s two adaptations received similar love, with a third instalment being one of the most sought-after sequels of the early 2010s. Sadly, that project was never to be, but the blow was softened with the announcement that a new Hellboy movie was on the way - this time a full-on reboot, with a hard-R rating and the grit to do the character justice. And for the first few months of production, the project made all the right moves. Stranger Things’ David Harbour was an inspired choice for the titular role, and the first poster showing him in full costume blew everyone away. Neil Marshall seemed like a great choice of director as well - known for his blistering action and mad prior cinematic achievements. It looked like the filmmakers were getting everything so right.